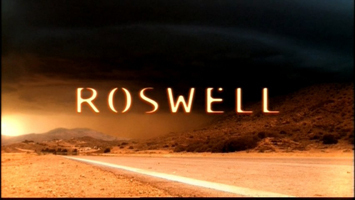 The largest, most complete Roswell series reference and archive online! cast & their continuing careers, and that is great, but I was always more interested in the show itself. I love the details of the show, the culture that has grown up around it, the music, production info, merchandise, etc. So I created my archive to focus on the various aspects of the show and fandom. It is everything you want to know about Roswell!! I'm still working on the archive when I can, and I've gotten a ton finished. There might be broken links, and things may change around, or might not make sense yet. I'm working on what strikes my fancy at the moment, so updates could be all over the place. If there is an area that you'd like me to work on, just let me know. I started the archive in late 2007, but I've been gathering info from the beginning. You may notice 99% of things in the archive are from Roswell seasons 1 & 2. There are a few season 3 tidbits in epi guide, pics, etc, but I'm not planning on adding to it. That is because I REALLY didn't like season 3 and have no interest in doing the work to archive it. I am always adding to my Roswell collection. If anyone has Roswell items they are willing to sell at reasonable prices, or donate, let me know. You can find items I am looking for here - Wanted. Unfortunately I wasn't as diligent in saving the sources of where I got things, and credits of who originally wrote, created, or posted the info and pics. Some things were originally written, created, and saved by others, and I'm not trying to take credit for any of that. I just wanted to share some of this great stuff. Corrections, additional credits, sources or other info are appreciated. Please email me at the address at the bottom of the page. Most of the sites where I obtained things are gone, but I will provide links to the sites that are still active. I'll also give credit when I know who authored, created, saved or provided any items archived. Links to all of the sites are on the Links page. I pay to keep ads and commercials off the site. If you'd like to help with the monetary upkeep, you can donate securely through PayPal and I'll list you as a contributor. and now that so many Roswell sites have closed I wanted to make a place to share it. what I remember, or have been told, and it is possible it is not all 100% accurate. If anyone has corrections or additional info, I'd be glad to add it. please submit them, and I will credit you. characters' clothing, alien items, maps, floorplans, etc. For a quick list of everything in the archives, see the bottom of the page. Here is a quick reference of what is included in each of the areas of the archive. Indentation indicates a lower level of links on the page. as images of closed Roswell fan sites.